Tamara Johnston had spent her entire day helping dogs in Songkhla, Thailand, and she was hot and exhausted. 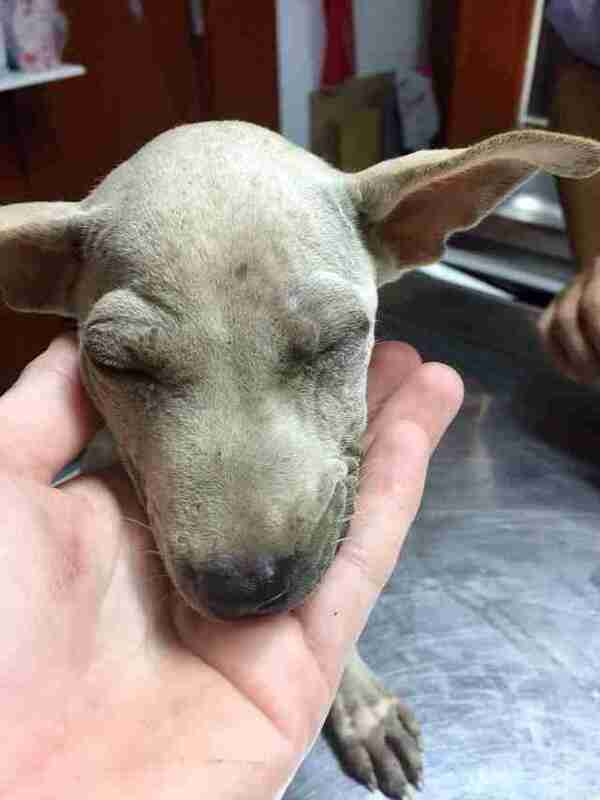 But when Johnston, the founder of Thai Street Paws Rescue, stopped at a local shop to buy a cold drink, she caught sight of a 2-month-old puppy on the road. 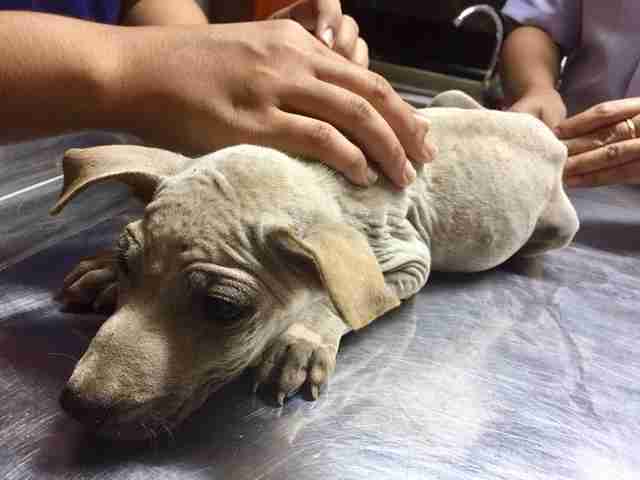 The puppy’s stomach was bloated, although the rest of his body was emaciated. 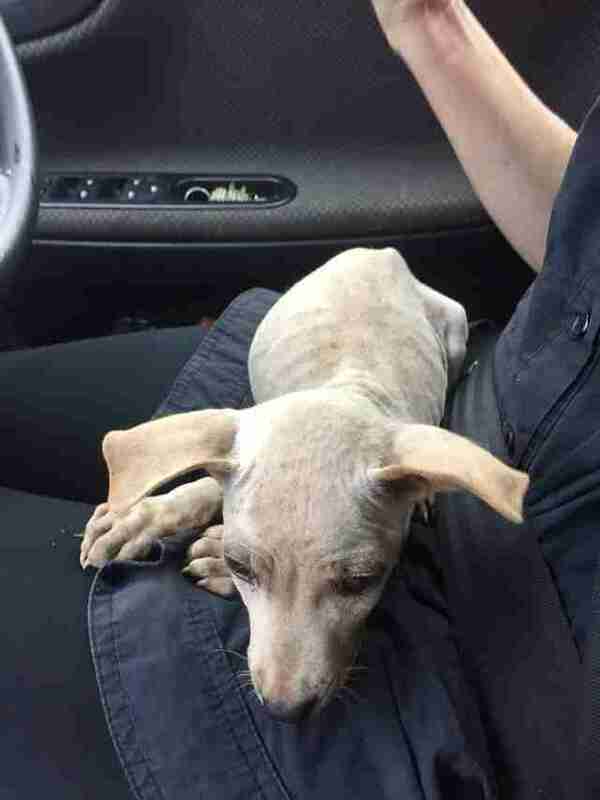 He was also covered in fleas and ticks, and he had a frightened look in his eyes. 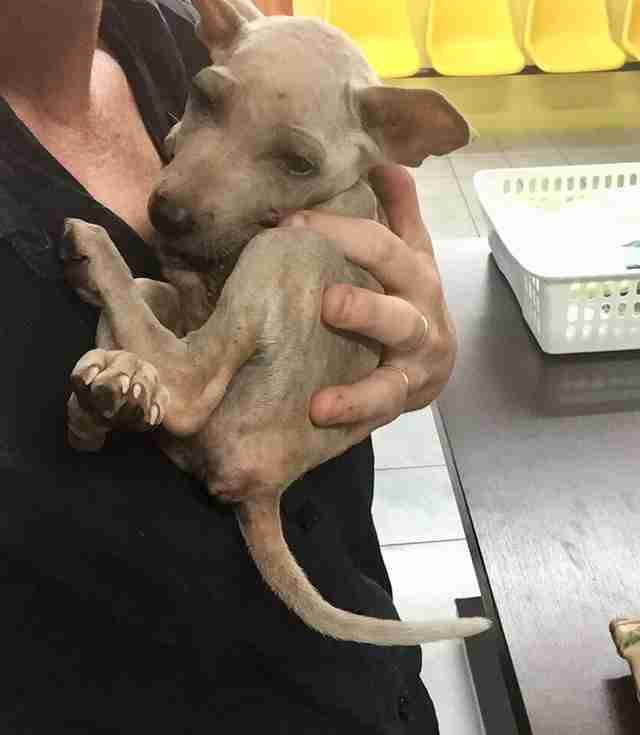 While Johnston sees many street dogs in Thailand — more than she can realistically rescue — she knew she had to help this puppy, who is now named Basil. 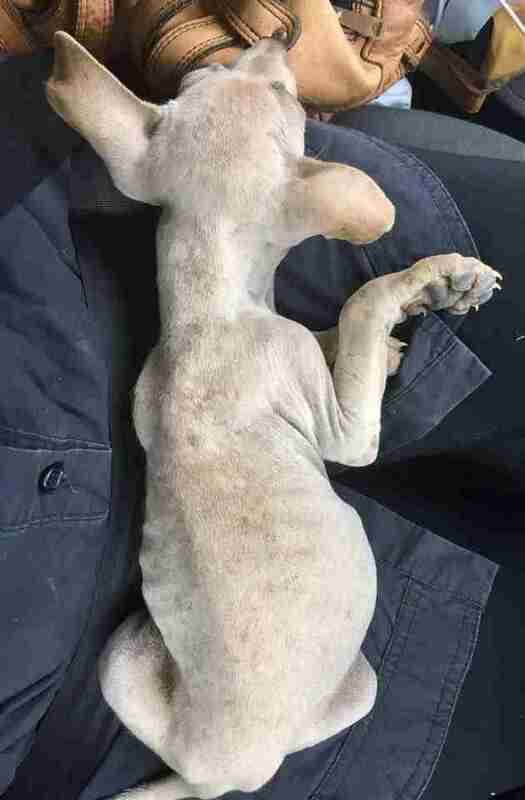 “Amongst all the stray dogs in the area, he just looked unwell to me,” she said. So Johnston picked him up, carried him to her car and drove straight to the vet. Basil snuggled into Johnston’s lap during the car ride, no longer appearing afraid. He stayed in Johnston’s lap during the entire car ride. Basil will remain at the vet for several more days. 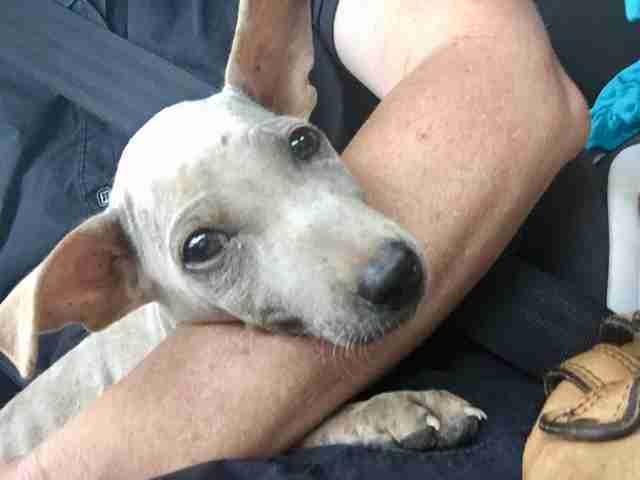 Once he’s feeling better, and he’s been vaccinated and sterilized, he’ll go to live with Johnston or one of the Thai Street Paws Rescue volunteers until he finds a forever home — Johnston hopes that someone in the U.S. will adopt Basil. Until that day comes, Johnston will enjoy every moment she gets to spend with Basil. 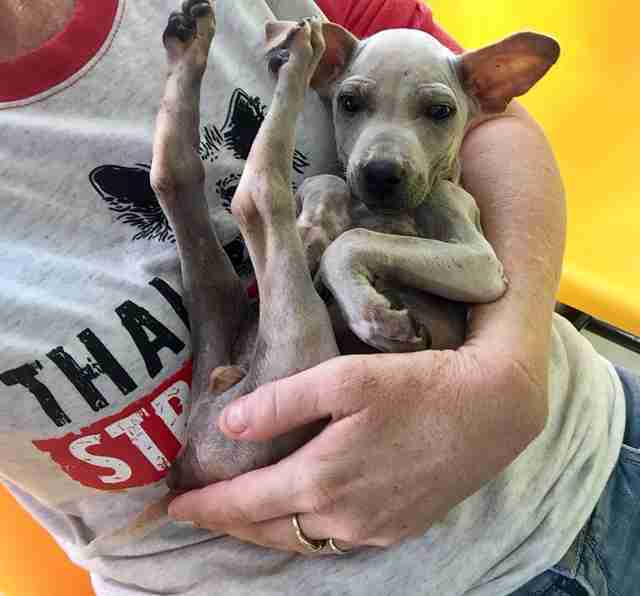 “He reminds me so much of a baby kangaroo and he seems so thankful I found him,” Johnston said. Besides Basil, Johnston currently cares for about 100 other dogs, most of whom live in the Thai Street Paws Shelter. However, Johnston and her team are working to build a bigger shelter, and also trying to expand their foster network so they can rescue more dogs. 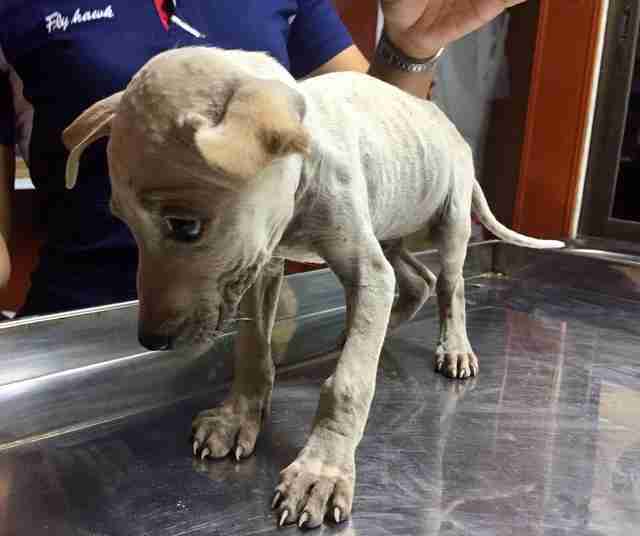 To help Basil and the other rescued dogs in the care of Thai Street Paws Rescue, you can make a donation.